The Philadelphia Phillies have extended interim manager Pete Mackanin's contract through 2016 with and option for 2017. 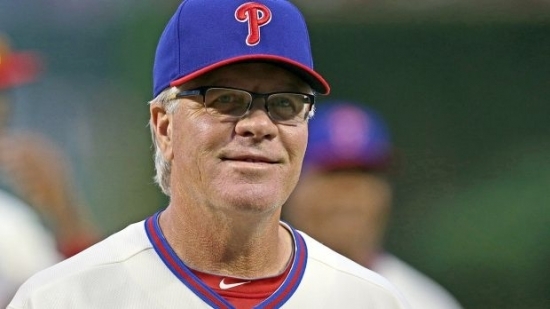 64-year-old Mackanin becomes the 53rd manager in Phillies' team history. He took over the role after Ryne Sandberg resigned on June 26. Incoming team president Andy MacPhail said in a statement, "We believe that Pete is the best fit for the role. Since assuming the interim manager position in June, Pete has developed an excellent rapport with our players and has also connected well with the media and our fans. Equally as important is his eagerness to take on the challenge of rebuilding the team and further developing our players. We look forward to his contributions." The team is 30-46 since Mackanin took over. The World Meeting of Families Congress kicked off at the Pennsylvania Convention Center this afternoon. Today's schedule was simple with an opening ceremony, keynote speech from Bishop Robert Barron from Los Angeles, and an opening mass. Wednesday will feature a full schedule with keynotes in the morning and afternoon each followed by numerous breakout sessions in various languages talking on many subjects all related to faith and family. Over 17,000 people from 100 countries are expected to attend this week's conference. iradiophilly will be broadcasting LIVE from the Convention Center this entire week and weekend, bringing you these events on our two Live Broadcast stations. Go to iradiophilly.com/pope for all the information on the audio and video streams of the World Meeting of Families. Police in Camden County, NJ responded to the scene after a body reportedly washed ashore of a lake. The report came from the Newton Lake behind a CVS store on the unit block of White Horse Pike in Oaklyn on Tuesday afternoon. This story is still developing.